The very first Arthur Murray Dance Studio was established in 1912. The founder, Mr. Arthur Murray, along with many outstanding dancers highly promoted ballroom dancing in America, making it a long-standing trend, and from the 1930s Arthur Murray has grown to become a household name. Since 1912, Arthur Murray has opened more than 260 Dance Studios in America and in International destinations such as Italy, United Kingdom, Japan, Brazil, Australia, Egypt, and South Africa. Together, we brought the joy of dancing to tens of millions of people all over the world. In 2010, Arthur Murray stepped into Taiwan with their first studio in Taipei. 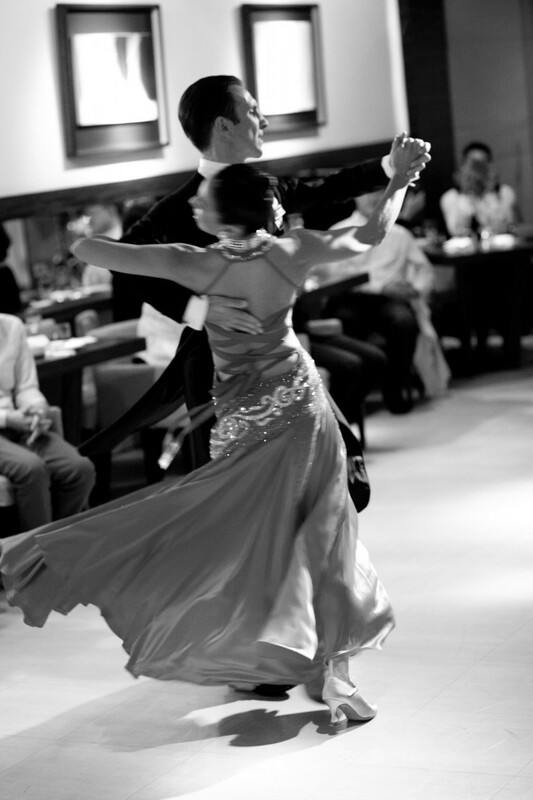 Arthur Murray Teachers are trained and certified in many types of classic and trendy ballroom dances. While they are teaching students and helping them enjoy the many benefits of dancing they themselves are also continuing to advance their own training and education of the Arthur Murray vision. We believe that dancing is a lifestyle, a core value, a kind of sport and a way to better know our own body. While there are many different reasons to learn dancing, at Arthur Murray Dance Centers, our trained consultants and teachers will work with you to tailor a program that will best suit your needs and help you reach your goals. In Arthur Murray, the slogan “Walking In, Dancing Out” means we are always here to dance by your side, to help you dance with joy. Arthur Murray Dance Centers were established in 1912 with studios located throughout the world and over 100 years of teaching our students the joy of dancing and introducing them to a new social lifestyle. With that in mind, Arthur Murray holds a large number of marvelous and highly anticipated events for students to participate. In addition to local events, Arthur Murray also organizes regional and international galas, such as the Dance-O-Rama, the annual Superama in Las Vegas, and the recent 100th Anniversary Celebration in New York City. From local to international, all of these events are exciting and fun because students are always encouraged to participate and show their stuff! In every event, students always have opportunities to perform and show what they have learned. At Medal Balls, the students celebrate completing their levels and they are presented with Arthur Murray Certificates of Completion. With the Arthur Murray system, it is our hope that after walking into our dance centers, each student can learn dancing in an easy and fun way that they’ll enjoy for a lifetime. The President of Arthur Murray Taiwan, Mish Liang Hsu, brought American Style dancing to Taiwan because it changed her life. She also saw the happiness and the self-confidence it gave to so many people all while making so many new friends. Mish decided that she would like to share her joy with everyone in Taiwan, and with Arthur Murray she knows she is also introducing the best learning system to anyone who wants to learn dancing in a fun, easy, and simple way. She wants people “Walking In and Dancing Out!”. Mish wanted the people in Taiwan to experience the wonderful culture and lifestyle that Arthur Murray represents so well, that dancing should be a pleasure that can add joy and color to everyday life. This is why our goal is to teach our students to dance and get out onto the dance floor. At the same time, we encourage our students to feel the music – to move their body with glee, to open their minds, and have a new outlook on life. Arthur Murray Taiwan offers students a cozy dance center full of passion because we welcome everyone to join us and become a part of the Arthur Murray family. Let’s all experience and enjoy dancing as a part of the new lifestyle! A lot of people miss the opportunity to enjoy social dancing simply because they were never introduced to a simple way to learn. Over the past 100 years Arthur Murray has developed a comprehensive system of teaching that has helped more than 40 million people of all ages around the world learn with confidence to “Walking In and Dancing Out!”. What makes the Arthur Murray System unique is that it makes everything simple and easy to learn. What makes it even better is that the system is constantly updated to include today’s popular music so that dancing can always be a relevant part of social life. In addition, we also provide our students with the latest moves and trends so they will always be up to date. Not only can students learn the classics such as Waltz, Tango, and Cha Cha but we also offer popular dances such as Bachata, Swing, Hustle, Merengue, and so much more. At Arthur Murray, a student can learn over 40 different dances so there’s always something new and there’s never a dull moment! On October 1st of 2011, I came in to AM and had my Introductory lesson. As of today, it has been exactly two years. Ever since I was a child, I never liked physical activities, sitting at the side lines and chatting was mostly what I did through gym class, and after stepping into society I mainly sat in front of my computer and desk, yet surprisingly I fell in love with this. I practice every day, even when I was sick or injured, I couldn\\\’t stay away for too long. My motivation for recovery was to dance again. Such was unimaginable to the previous me. Often people ask me why do I love to dance? I think it\\\’s because in dancing, I got re-acquainted with my body, got along with it better, cherished it, protected it, sharpened it, expressed it, hoping that it would be healthier and stay with me longer. I learned to free my heart, converse with it, feel it, embrace it, release it, hoping that it would be happy and full of energy. Though my body often aches, as life is often full of setbacks, because of dancing I face my future, my self, with positivity. Dancing is actually quite like falling in love, both a physical and spiritual experience, both make you love yourself more. Maybe it\\\’s not easy for us to fall in love for a lifetime but I do hope I can keep dancing when I am old. If I can continue to dance for another decade or two, how truly wonderful that would be. Almost three years of learning to dance, during this not so brief a time, dancing and all the teachers and students of AM have been by my side whether I was happy or sad, the best companions. Through physical illness or pain, frustration and helpless, but the moment I put on my dancing shoes and start dancing, my heart is filled with hope and strength. Thank You to Mish Liang Hsu, Wen Alex and every teacher of AM! The moment I stepped into the AM studio I immediately liked the atmosphere, cozy and trendy. AM\\\’s outstanding and complete teaching system made it possible that even a newbie like me can very quickly enjoy ballroom dancing, and with careful guidance of professional teachers I was able to learn even more dancing knowledge. The process of creating choreography, practicing, interacting, and learning with different teachers was a very rare experience. Each teacher offered new insight and helped me improve different aspects, explore the limits of my body. Working with my teacher to create choreography inspired creativity and fulfilled my sense of accomplishment. The team at AM seems to have inexhaustible creativity and enthusiasm, filling every lesson with laughters, every dance party filled with surprises. Here, not only do I learn the dance steps and not only do I practice the rhythm of my body, there is also the spiritual aspect of the art form inspired and a renewable source of happiness. AM has lightened my body, enriched my life, and now I am addicted to being happy!